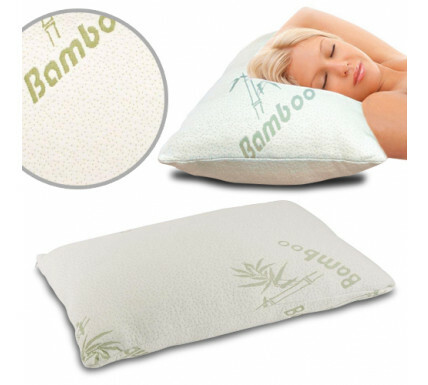 Now you can end night sweats and overheating, with this Bamboo Memory Foam Pillow! Encased with a breathable natural bamboo material it’s designed to regulate your body temperature as the special blend of shredded memory foam moulds to your body providing exceptional comfort and support. So end tossing and turning and improve your sleep quality. Memory foam provides comfort and support too!